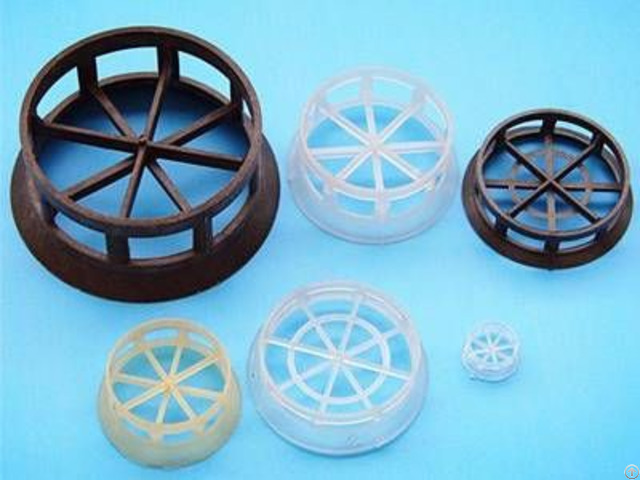 Plastic Cascade Mini Ring for Rectification Towers Plastic cascade mini ring adopts trumpet-shaped design with several windows open on the surface, which increases the mechanical strength of the whole ring. Being asymmetry, plastic cascade mini ring is increased the chance of directional delivery. It has features such as high void volume, low pressure drop, low mass-transfer unit height, high flooding point, uniform gas-liquid contact, small specific gravity, high mass transfer efficiency and so on, and the application temperature in media ranges from 60 to 150. Compared with metal cascade mini ring, it has better corrosion resistance and lower costs. This is a plastic cascade mini ring on the green background. 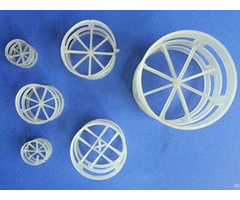 PCMR-01: Plastic cascade mini ring has several windows open on the surface.There are multifarious plastic cascade mini ring in different sizes and colors. PCMR-02: Plastic cascade mini ring has uniform gas-liquid contact. 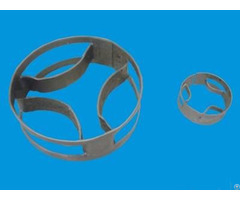 Posted By: Masaito Metal Co., Ltd.
Masaito Metal Co., Ltd. is a manufacturing company founded in 1990 in Hengshui City, Hebei Province, China. We mainly manufacture high-quality tower packings, tower trays, distributors, demisters in various dimensions and styles. Our packing towers are exported to all over the world, and we have won wide support and trust from consumers. We provide our first-class tower packings, tower trays, distributors, demisters in reasonable prices and quote each customer individually including delivery to make you clear your exact costs. We also have an excellent service team to make sure that your problems can be solved timely and perfectly. 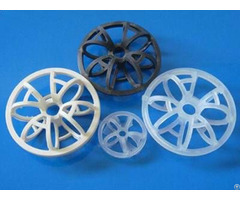 Material Supply System: We use the best quality raw materials which are supplied by regular suppliers. Raw materials will be put in use after inspection. Production Management System: Our managers have a high demand on the production. Workers who participates in producing are demanded to dress uniformly. QC System: We adopt advanced testing technology to control and ensure the quality of our tower packings. Unqualified products will not be allow to go into next process. Packing System: Our tower packings are packed in carton boxes or wooden boxes. All of our boxes are dry and strong enough to protect the tower internals. Inventory System: Our tower packings, tower trays, distributors and demisters are stored respectively in our warehouses which are clean and roomy. Inspection System: Before delivery, our tower internals will be detected and checked again. Whichever fails to pass the inspection of products on quality shall not be allowed to be transported out of the factory. After-Sales Service System: We have an excellent after-sales service team and process ensure that your problem can be solved timely and perfectly. Changing, refunding and being compensated will be easily for you. This picture shows the superb tower packings manufacture and service that our company provides.